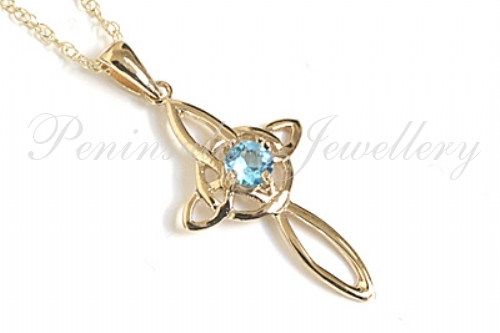 Pretty solid gold Celtic weave cross pendant featuring one 4mm round brilliant cut Blue Topaz gemstone in the centre. Dimensions: 14mm wide, 26mm long (excluding bail). Complete with full UK hallmarks. Supplied with 9ct gold 18" Prince of Wales chain. Weight: 2g including chain. 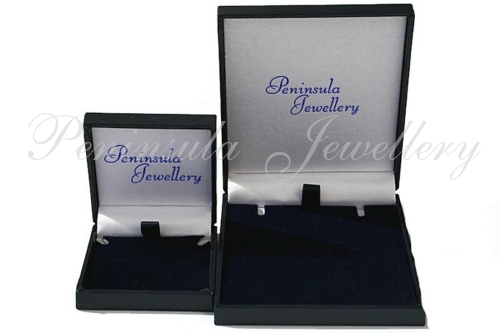 Presented in a luxury gift box - would make a great gift! Made in England.